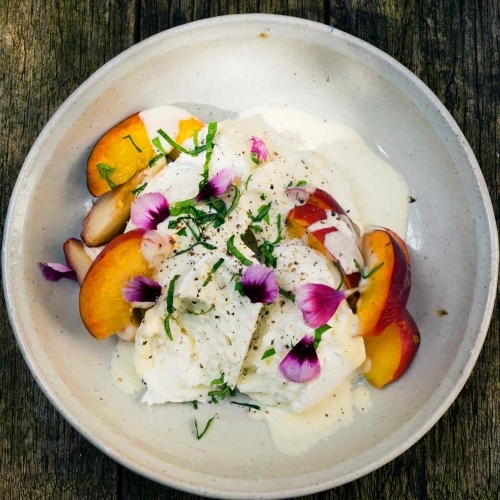 Torn mozzarella, ripe peaches, basil and yoghurt dressing. 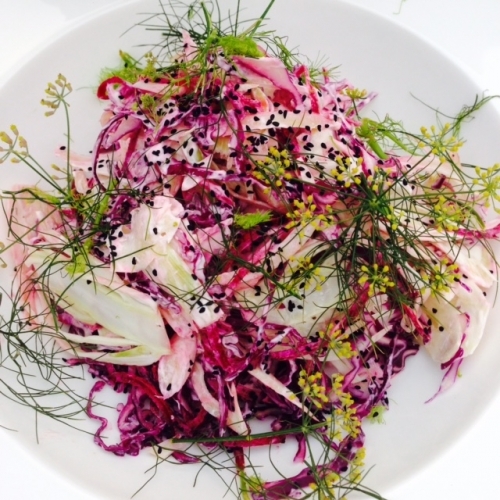 Crisp salad of raw fennel and beetroot with soured cream and speck. 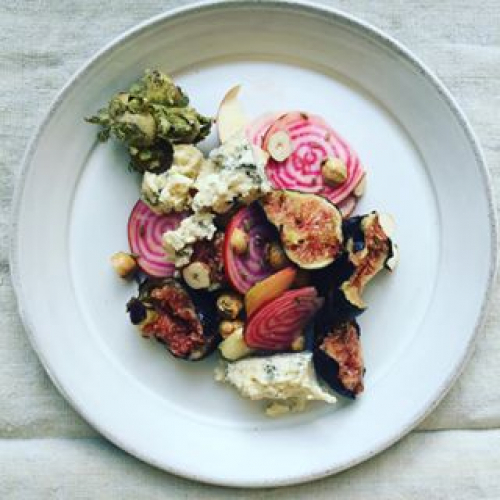 Cobnuts, blue cheese, pickled beetroots, figs. 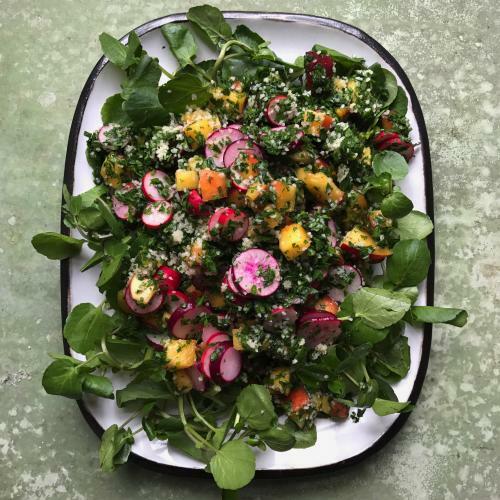 A late summer salad. 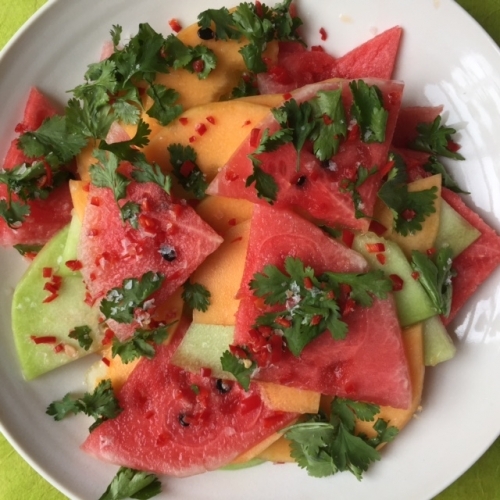 A refreshing salad of chilled melon dressed with chilliies, salt and herbs. 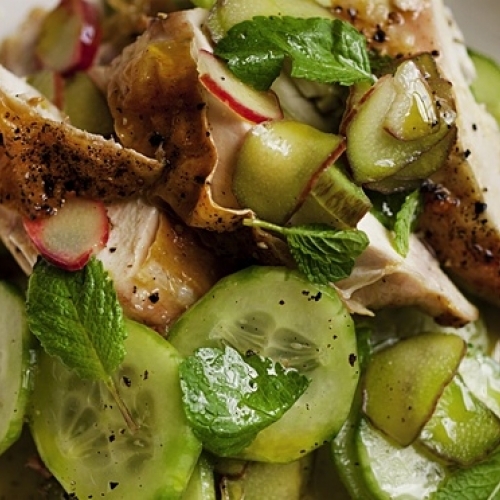 A refreshing roast Chicken, rhubarb and parsley salad with a cider vinegar dressing. 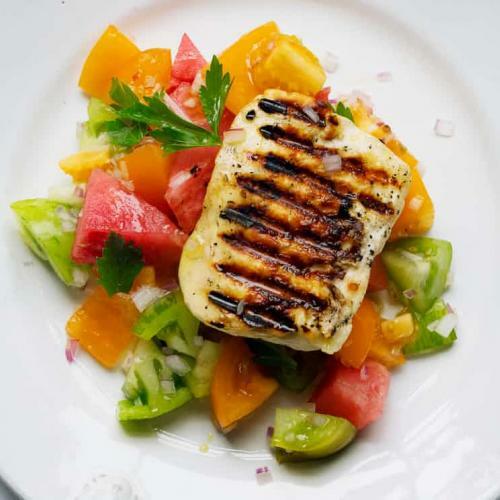 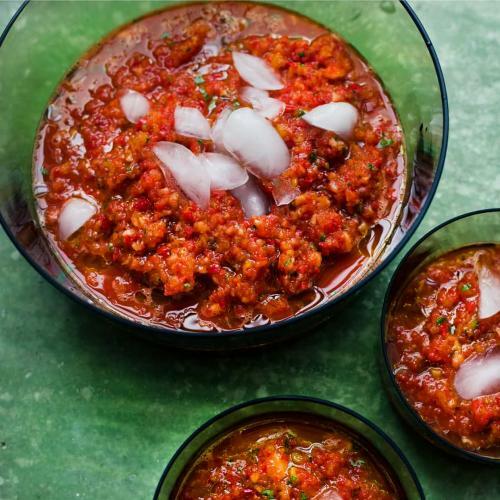 A salad of grilled corn with tomatoes, green beans and pomegranate molasses. 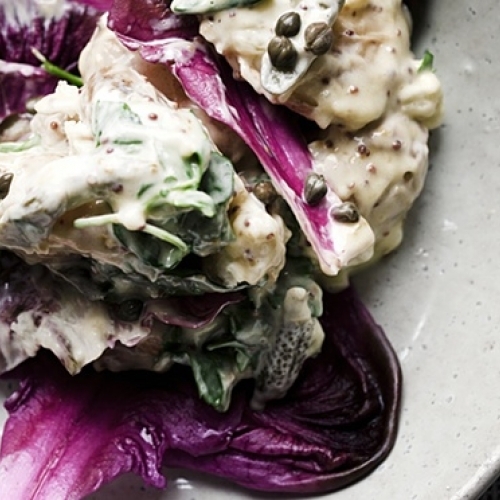 A salad of new potatoes and chicory with cornichons, honey and mustard. 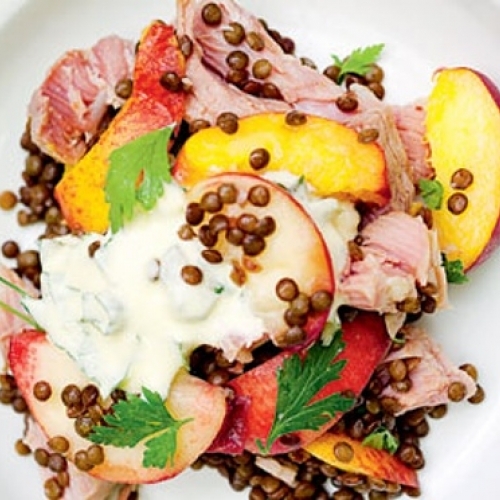 A creamy basil and creme fraiche dressing for a gammon, peach and lentils salad. 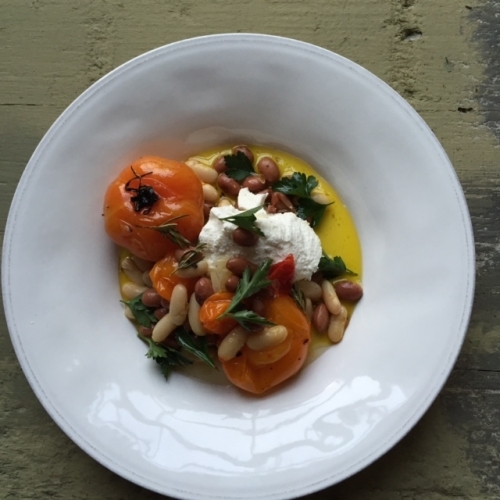 A salad of warm tomatoes, three beans, ricotta and if you wish, sliced Coppa. 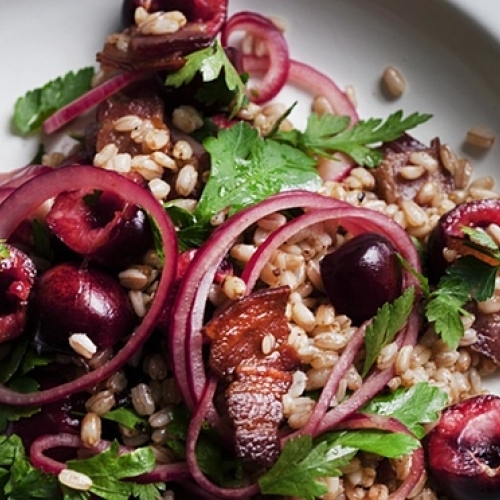 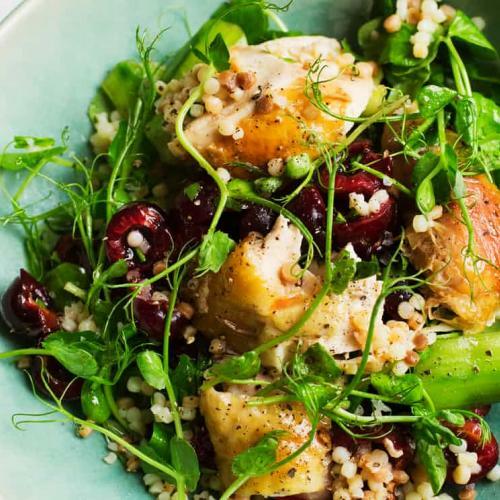 A summer salad of ripe cherries, spelt, parsley and bacon. 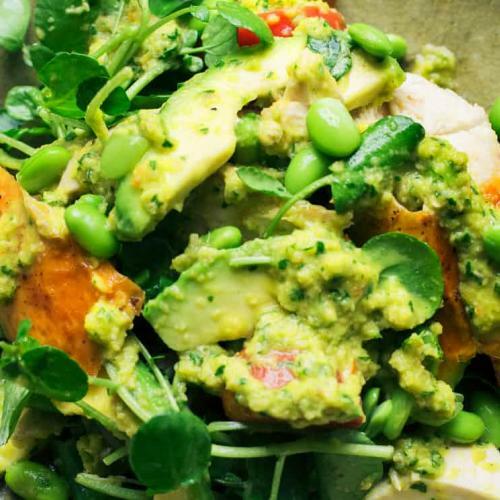 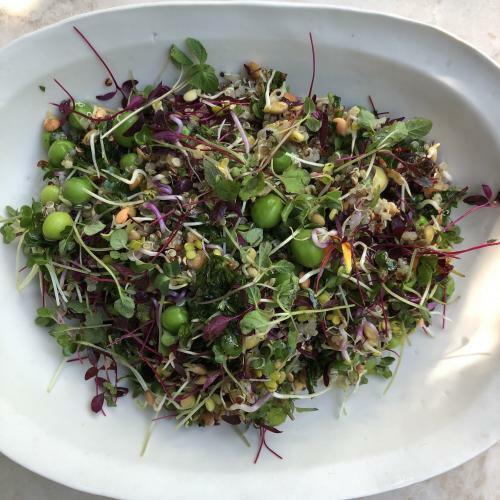 Quinoa with peas and sprouted seeds. 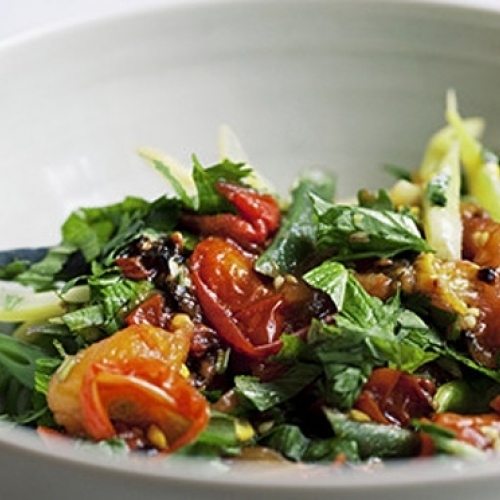 Sweet, fresh and crunchy. 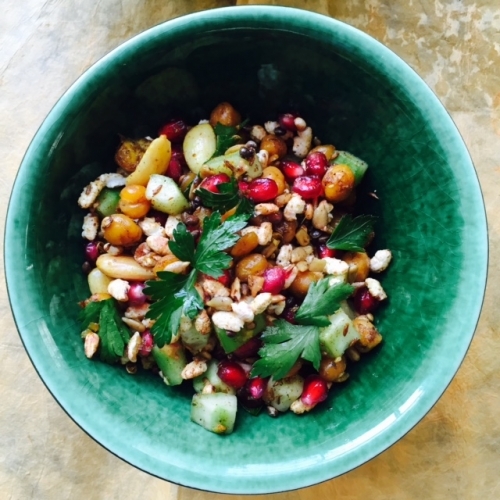 Cucumber, puffed rice, almonds, pomegranate and spices.